I didn’t always love eggplant, but now I can’t get enough of it! 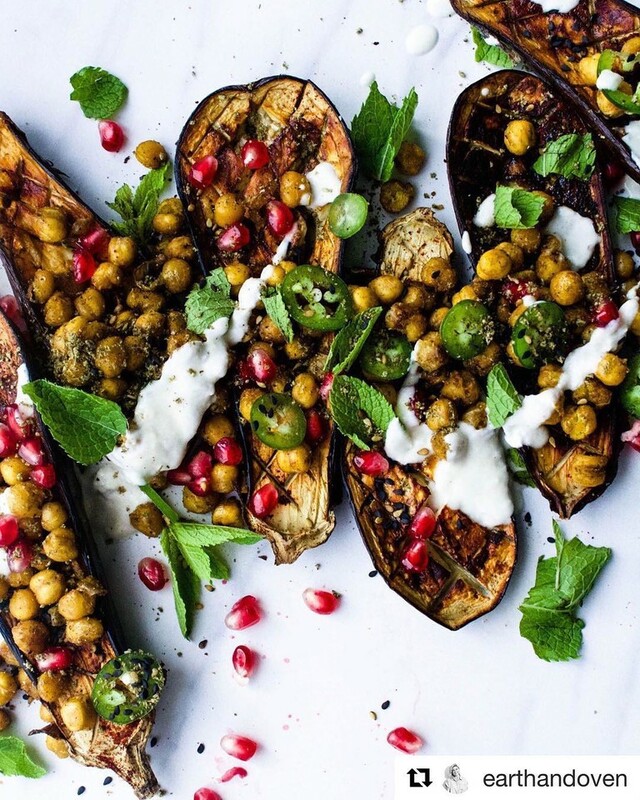 And this Blackened Eggplant with Curried Chickpeas and Tahini by Meredith Youngson of @earthandoven seems as minimal as it looks delish. Meredith’s fuss-free approach to plant-based food, lovely writing style and gorgeous photos will leave you hitting the ‘Bookmark’ button for Earthandoven.com. Her IG is also full of breezy beautiful recipe ideas.